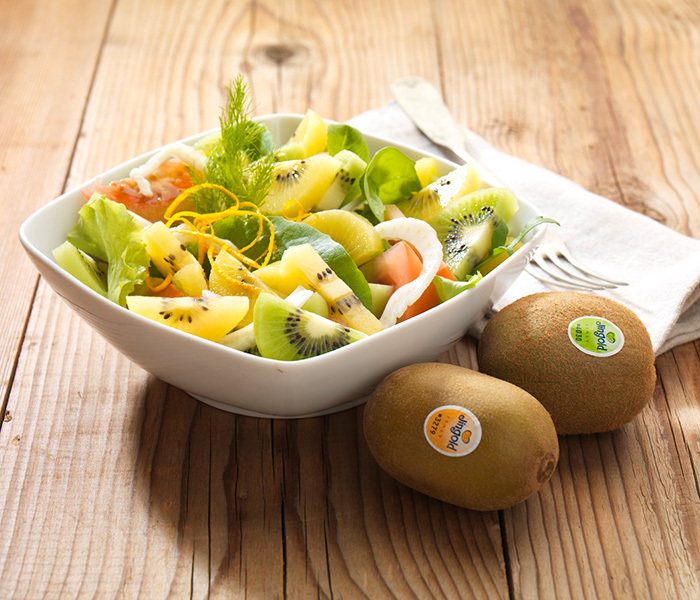 Ideal with tasty summer lunches, this kiwi salad is super light and also full of delicious aromas. 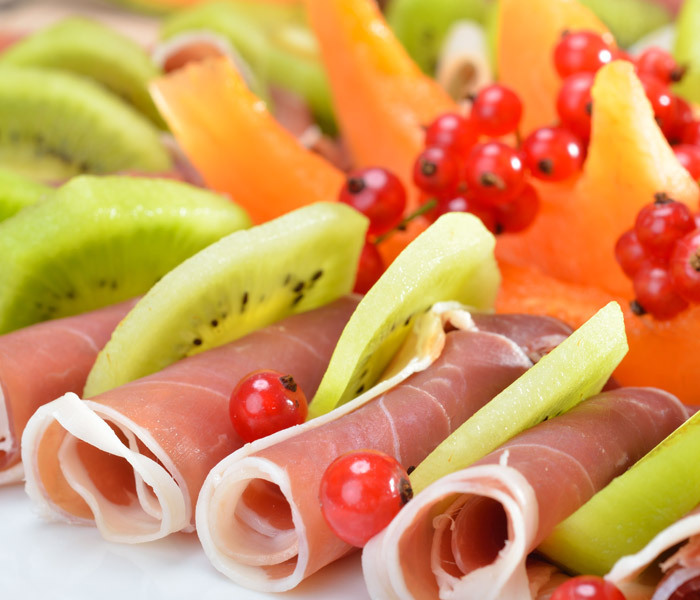 Serve as a single dish or as a delicious alternative to meat or fish. Start by washing the salad leaves and drying them thoroughly. 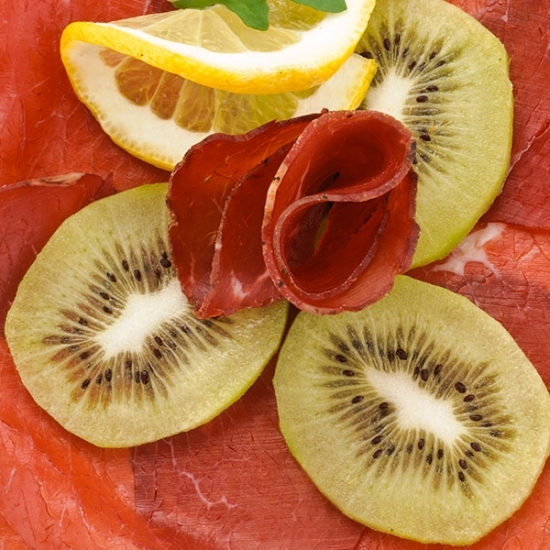 Then cut them into quite fine strips before peeling and slicing the kiwis into rounds. 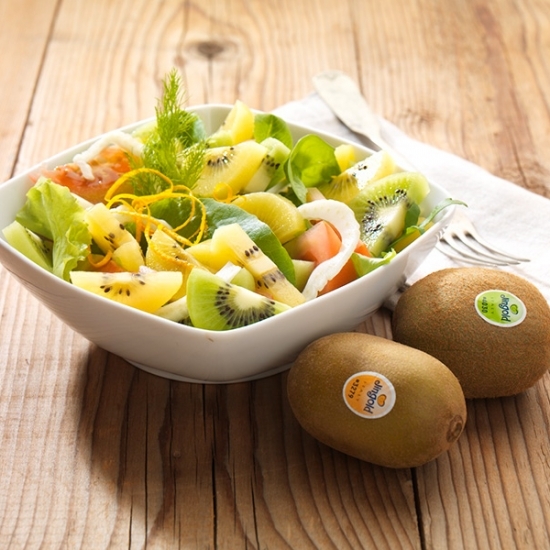 Place the salad leaves and sliced kiwis into a large bowl. 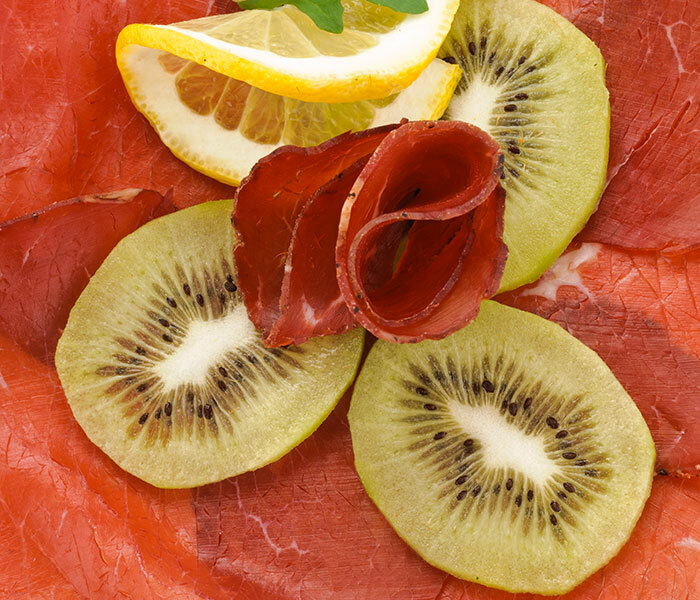 Now cut the prosciutto into small cubes. Add to the bowl and mix everything together. Dress with orange juice, lemon juice, extra virgin olive oil, salt and pepper. Serve.